The “winter blahs” can hit any time the days start getting noticeably shorter and our weather turns cold. 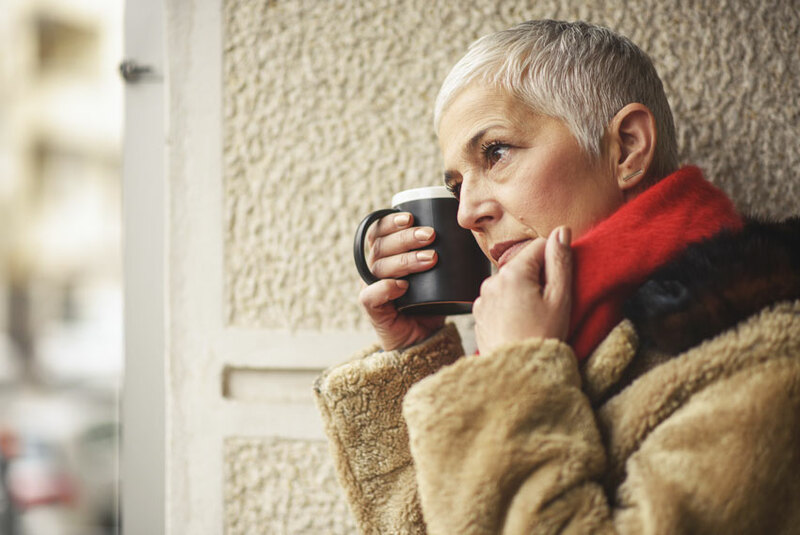 If your feelings of recluse this time of year are severe, however, you may be suffering from a form of depression known as Seasonal Affective Disorder (SAD). This can pose a challenge in your recovery journey, so it’s important to be aware, know what’s at stake, and find ways to combat it before you give in to a potential relapse. One key thing to know about SAD is that it is recurring. It will happen every year at about the same time, and abates every spring at about the same time. Studies have shown that SAD is linked to our body’s serotonin and melatonin production, both of which are directly influenced by the sun. When there is less daylight, our circadian rhythms can get out of balance and cause not only mood changes but sleep problems and attention deficiencies. The further north you go, more people suffer from SAD. Those in Washington state are seven times more likely to be affected than those living in Florida. These shifts in our body/brain balance can cause disruptions in our work, relationships, and our daily lives. The severe lethargy and depression can lead to extreme negative thoughts of guilt and inadequacy. On top of all this, SAD can even cause changes in our eating habits. If you sense this pattern of thought and behavior shifts, don’t automatically write it off as “just a funk” you’re feeling. A doctor can determine if it is indeed SAD, and point you to treatment that can help keep it under control. There are multiple studies that have determined a significant correlation between SAD and other depression-related illnesses and substance use, abuse, or addiction. Many times, this can be traced back to the person attempting to self-medicate the depression with drugs or alcohol. While this can feel like it’s helping at the time, the depression comes back with a vengeance after the effects of the substance use have worn off. Attempting to control the negative feelings of SAD with alcohol or other substances can quickly lead to a problem with substance abuse or addiction. While people suffering from SAD are at higher risk of developing a substance use disorder, it goes the other way as well. People who are in recovery for alcoholism or addiction are at a higher risk for relapse if they suffer from SAD. The winter months and holidays involved can be enough of a trigger for someone working through their struggles with drug or alcohol abuse. The added stress of SAD can feel insurmountable. Thankfully, there are a number of easy, non-pharmaceutical ways to treat SAD. Since SAD is triggered by the lack of sunlight, the simplest treatment one can utilize is light therapy. You may choose to take a walk outside, get involved in an outdoor activity, or keep your blinds and drapes open during the day. If these options aren’t possible, using a light therapy box under the advice of a physician can help your body feel more at ease with the shortening daylight hours. While these can benefit anyone suffering from general down feelings during the fall and winter months, they are especially necessary for those struggling to handle SAD. Being honest with your healthcare provider and your therapist about side effects and your feelings is very important in treating SAD before it can cause additional problems. Using these methods is a safe, healthy way to control SAD instead of self-medicating with drugs or alcohol. If you feel you have a problem with seasonal depression, talk to your physician. If you or a loved one has been self-medicating and may have developed a substance use addiction, St. Gregory is here to help! To learn more about programs offered at St. Gregory Recovery Center, Iowa alcohol recovery center, call and speak with someone today, at (888) 778-5833.